The Territory of Christmas Island is located in the Indian Ocean. The island was discovered in 1643 by Captain William Mynors of English East India Company. Mynors gave it such a name because the discovery took place on Christmas Day. The first attempts at exploring the island were made in the mid-19th century. In 1888, the British Crown officially annexed Christmas Island. It was administered by the Crown Colony of Singapore. During the Second World War, the island was occupied by Japan due to its rich phosphate deposits. British troops liberated the island in 1947. 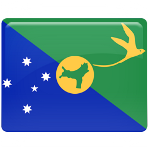 In 1957, sovereignty over Christmas Island was transferred to Australia. Australian government paid the government of Singapore £2.9 million in compensation. On October 1, 1960, the island was officially designated as an external territory of Australia. The anniversary of this event is celebrated as Territory Day. The celebration is held on the first Monday in October so that the islanders can have an extended weekend.